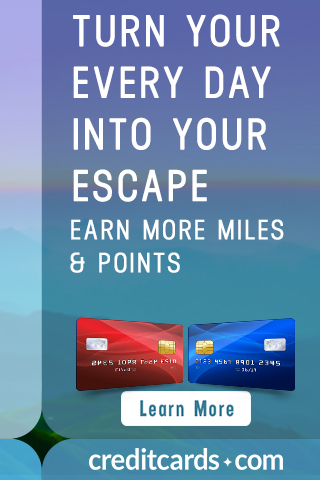 In this hobby, many credit card sign up bonuses can give us almost free travel to anywhere in the world. 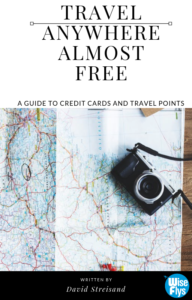 When signing up for a new credit card with a lucrative sign up bonus, the only obstacle is to complete the minimum spending. Sometimes the minimum spending can be as low as $1 or as high as $10,000 within three months. What deters people from applying for credit cards with amazing sign up bonuses is the fear of not being able to complete the minimum spending. There are many ways to reach the minimum spending. Here are 30 Smart Ways To Reach Your Minimum Spending Faster. You can also Pay Your Mortgage With A Credit Card And No Fee. Today we will learn how to pay your rent with a credit card. Landlords accept all different types of payments, but rarely accept credit cards. The majority of landlords will accept money orders though. A money order is a certificate, usually issued by banking institutions, that allows the stated payee to receive cash on-demand. Its basically a check that anyone can deposit in their bank account. If you pay your landlord with a personal check, a money order is basically the same thing. Check with your landlord to see if he/she accepts money orders. Unfortunately, credit cards can’t be used to directly purchase money orders. We have to take one additional step. To keep things simple, I will explain the Walmart Method. Go to Walmart and head over to the gift card rack. You will see an array of gift cards like the picture below. Its important to buy the right gift card. If you purchase the wrong gift card, then none of this will work. The RIGHT gift card to purchase, is the one featured in the picture below. The gift card must be a Walmart brand. You can tell it is a Walmart brand by the Walmart logo in the bottom right corner of the package. First, I recommend doing a small experiment to be comfortable with the process before scaling up. With your credit card, buy the gift card pictured above for a minimum of $25. The card costs $4.94, and is $29.94 total. Once purchased, remove the card from the wrapping. 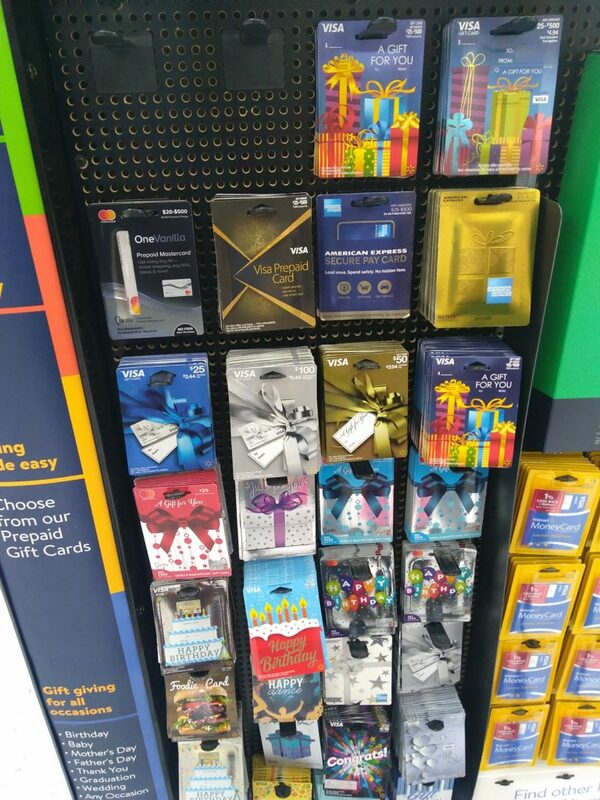 With your gift card out of the package, walk over to the money center in the front section of Walmart. Say you want to purchase a money order of $24.30 with your debit card. A money order costs $.70. Keep in mind, some clerks may not let you buy the money order if they know its with a gift card. Its not illegal or anything like that and can NOT get you in trouble. With my experience, 90% of the clerks don’t care and 10% do. To have everything go smooth, its best the clerk doesn’t know it is a gift card. I usually keep mine out of sight until I swipe. When the clerk says its time to pay, swipe your gift card. The key pad will ask if you want cash back, press no. The key pad will then ask for your pin number, put the last 4 digits of the gift card number. That’s it! Experiment completed. You now know which gift card to purchase and how to buy a money order with the gift card. The clerk will then print out the money order and your receipt. You now have a $24.30 money order. Do whatever you want with it. Its easy to deposit the money order in your bank account and pay off your credit card for this experiment. Unfortunately, mobile deposit doesn’t work with money orders. Obviously, $24.30 isn’t going to cover your rent (back in the day it might have). When comfortable with this method, you can scale up to $1,000 using two gift cards at $500 each. 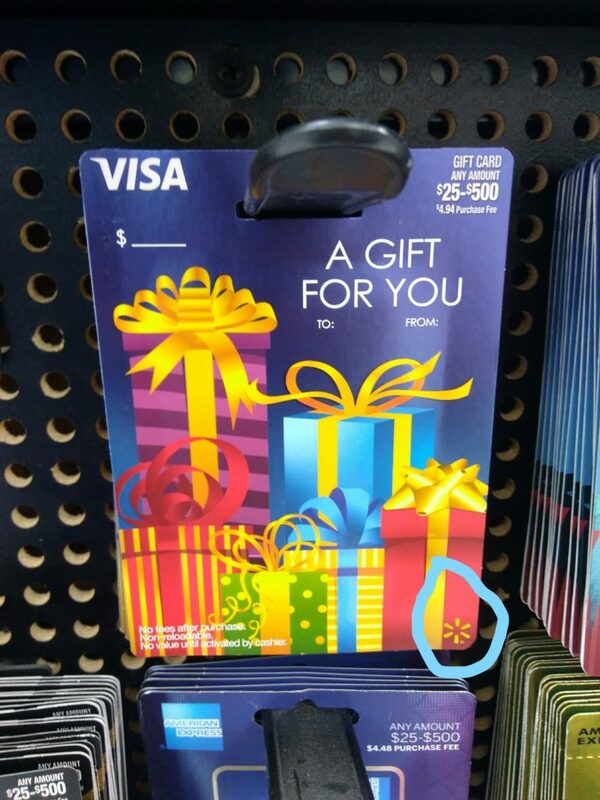 Before purchasing two $500 gift cards at Walmart, call the number on the back of your credit card and let them know you will be making a big purchase. If you don’t call your credit card company, your card might freeze at the register because of fraud protection. When purchasing the $1,000 money order with the two gift cards, there is specific wording to use to prevent any confusion. Say “I would like to purchase a $1,000 money order. Can you please split the $1,000 payments between two of my debit cards for $500 each. I will pay the 70 cents money order fee with cash.” Have the 70 cents with you to pay at the end. I rarely have change and always hand the clerk a dollar. If you swipe the card and a little piece of paper prints out and and the clerk reads “Debit not available”, that means the clerk did not split the payments properly. Kindly ask if the 70 cent fee can be paid with cash and is separate from the two $500 debit card transactions. Once you have the $1,000 money order, you can pay your rent or even deposit it in your account to write a personal check to your landlord. With this method, it will cost you $10.68 for every $1,000 money order. That’s about a 1% fee to pay your rent. The benefit of this method is you will be able to complete your minimum spending with ease for the credit card sign up bonus. What is your experience with purchasing money orders with gift cards to pay your rent? 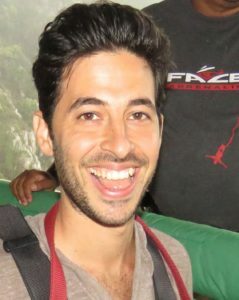 David is the Author of Memoirs of Napoleon Streisand and the Founder of Wise Flys. He has been to 7 continents and loves to travel the world for cheap. My mind is racing thinking if all the possibilities. With this method I can get any credit card and complete the minimum spending. What’s the limit with this? Subscribe and get the book, Save 90% On Your Next Flight. 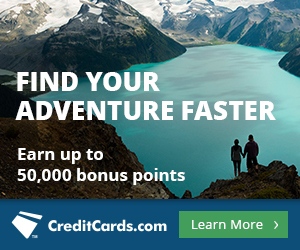 Get access to other methods to save on travel. Let me do the research and you just travel cheap. Advertiser Disclosure:This site is part of an affiliate sales network and receives compensation for sending traffic to partner sites, such as CreditCards.com. This compensation may impact how and where links appear on this site. This site does not include all financial companies or all available financial offers. Editorial Note: Opinions expressed here are author’s alone, not those of any bank, credit card issuer, hotel, airline, or other entity. This content has not been reviewed, approved or otherwise endorsed by any of the entities included within the post. Copyright © 2018 WiseFlys.com. All Rights Reserved.